I’m happy with how it turned out, my son was really happy when he saw it. The only thing was he didn’t actually eat any of it, he only wanted to play with it. 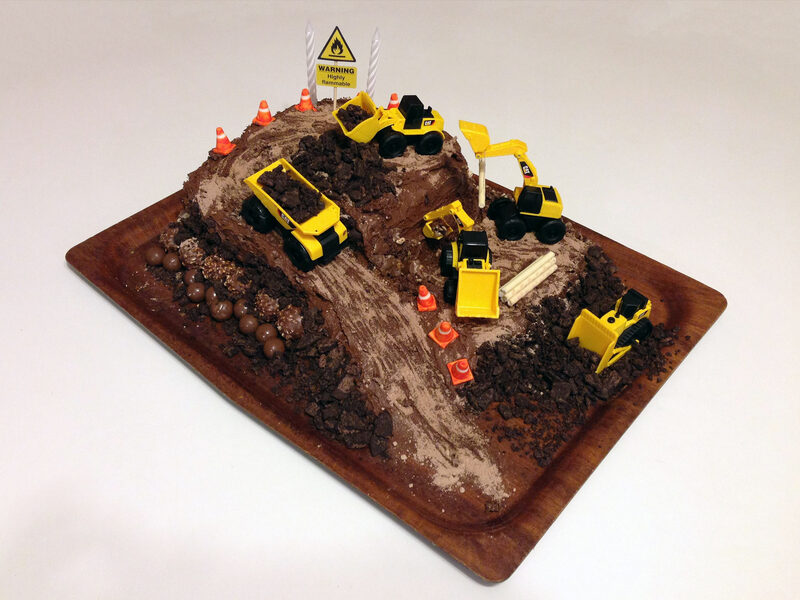 When I asked him the next day if he wanted some cake he went and got his diggers and brought them over to play with it again – and still didn’t eat any of it. My husband helped to plan and decorate it and my Mum baked the actual cake for us. My husband is a civil engineer so when we were looking through photos on google images he kept pointing out how some of the construction sites didn’t make any sense. 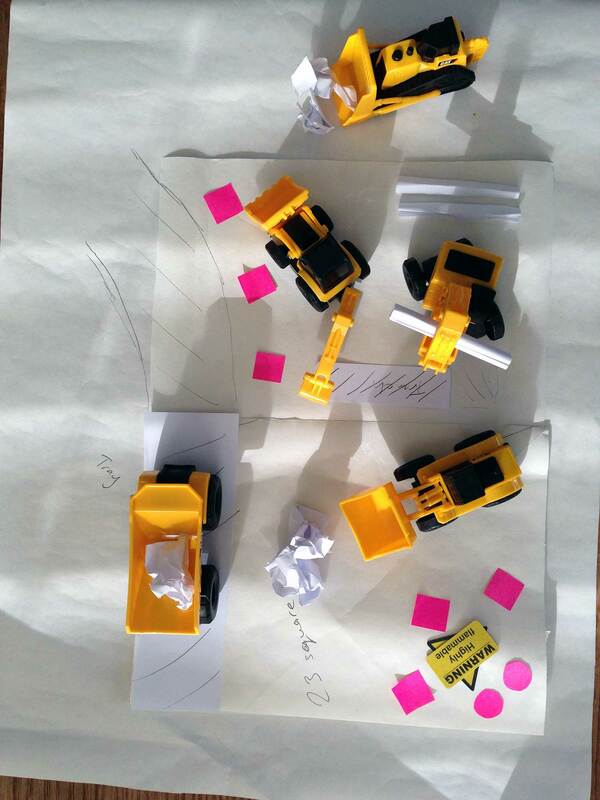 We sat down for a planning meeting to make sure the site was well set up. 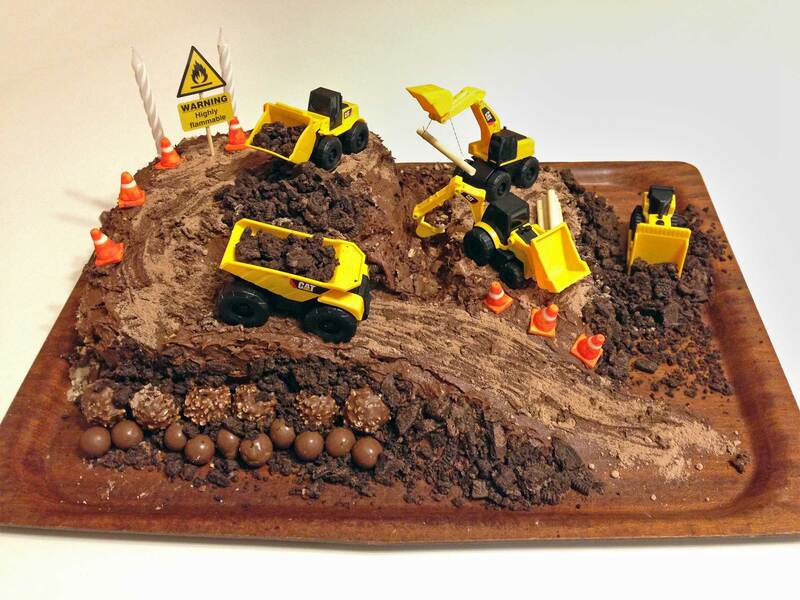 We didn’t want to make the cake giant and 5 vehicles is a lot to fit in a small space so we couldn’t get it to be a very realistic site. But planning it with paper the same size as the cake tins helped a lot to decide what to do. 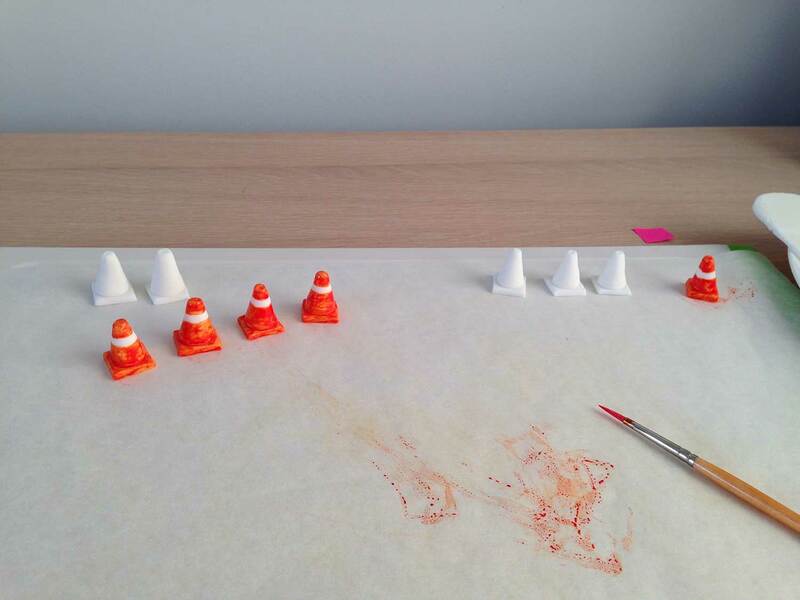 The road cones were made from fondant, I shaped them first and then painted them with food colouring to make them orange.